Nabertherm is a major global producer of laboratory furnaces. 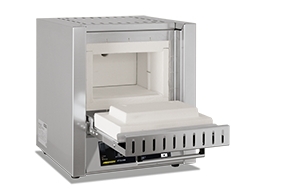 We offer a large selection of standard models as well as customized solutions, and will produce a purpose-built laboratory furnace by working with your individual requirements and specifications. Nabertherm laboratory furnaces are used in universities, schools and research institutes. We strive to ensure highest quality standards and an excellent spare parts service while maintaining short delivery times. Further information on Nabertherm laboratory furnaces.